End Date : Until November 26, 2018 . Bonus : Celebrate Black Friday and Cyber Monday with IronFX. 1. Register an account, If you don’t have one already.. 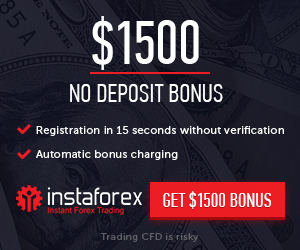 The first 100 to register and deposit $300 or more will be rewarded with extra $100 trading dollars prize in their account. Prize : Prize cannot be withdrawn.